We serve the five boroughs of New York – Manhattan, Brooklyn, Queens, the Bronx and Staten Island. Yes, of course. To give you complete peace of mind, we are fully bonded and insured, in the event of unforeseen circumstances. 3. Do you offer a guarantee on your work? Yes, we offer a 100% guarantee on all of our work. If you’re not happy with any aspect of the service you receive, we will carry out the job again. 4. What kind of rugs do you repair and restore? A wide variety. 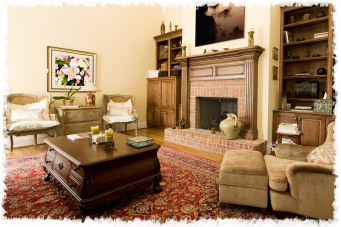 We are specialists in the treatment of Persian, silk, wool, and synthetic rugs, to name but a few. And because we understand that every rug is different, we use specific cleaning, repairing and restoration methods for each specific piece. We aim to provide quality care for every customer, whether their rug is small, large, costly or inexpensive. Every job is important to us and every client an individual. 5. What kind of cleaning products do you use? All of the products we use are environmentally-friendly and organic. Our Green Depot cleaning solutions are 100% non-toxic, gentle on your rug, but tough on dirt and grime. We use ‘green’ products because not only do we want to protect the environment, but we care about the health of you and your family. 6. Where will you work on my rug? We clean, repair and restore all of our rugs at our factory in New York. However, we offer a free pick-up and return delivery service, whereby one of our staff will come to your home at a time convenient to you, to collect and bring back your piece. We take the stress out of the job! 7. What kind of stains are you able to remove? We are experts in removing all kinds of stains including those made by red wine, chocolate, ketchup, mustard and vomit, to name but a few. 8. The colors in my rug have become dug. It looks faded and neglected. How can you help? Our special deep-cleaning methods are designed to revive the colors and material of your rug, leaving it looking fresh and feeling soft. We are also skilled in removing color bleeds. We aim to bring new life to your rug, both in terms of its appearance and texture. 9. My rug has been partially eaten up moths? Can it be saved? It is definitely possible to repair a rug that has suffered moth damage. After careful inspection of the rug, we will clean it thoroughly. We will do everything we can to kill the moth larvae (which will still be inside the material). In most cases, this can be achieved and, as a result, your rug will be good as new. 10. How long will the whole process take, from start to finish? Obviously this depends on exactly what work needs to be done but, in general, the time frame between us collecting your rug and returning it to you will be about 7-10 days. and structure, and your own personal taste.